I had a lovely day with lots of presents and cards that had made is across the miles to me. Marion and Ian are here putting the staircase into their house and made sure i was spoilt on my special day, the only thing issuing was my Kevy who unfortunately had to fly off to NYC. Thank you everybody for my lovely cards and pressies and thanks Marion and Ian for spoiling me. 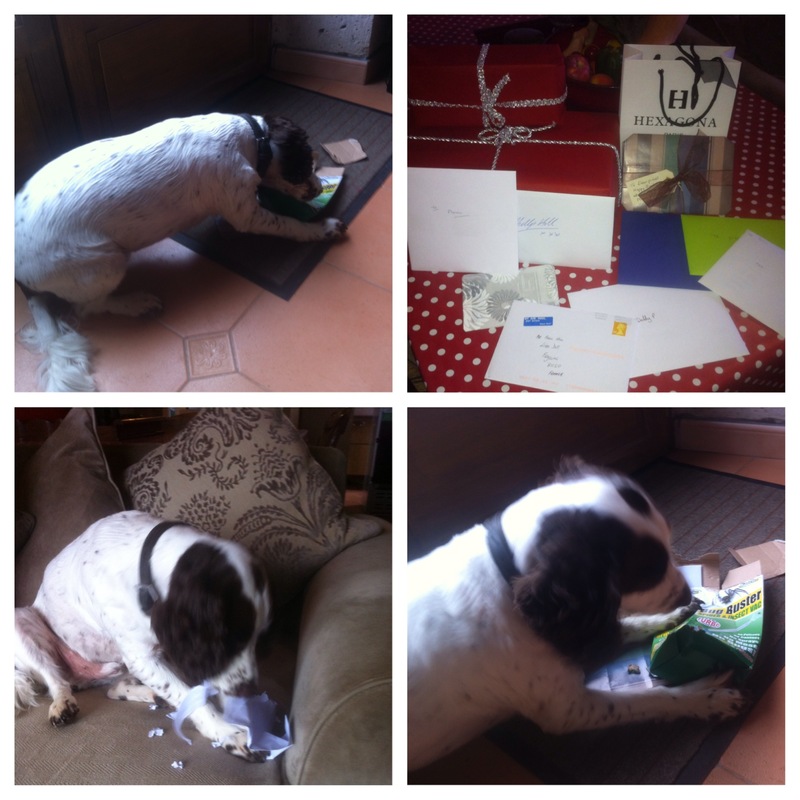 As you can see Barnaby Pickles helped me open my cards and pressies in his own way.